If you worry about the possibility of having to replace the Volt's lithium-ion battery, leasing a 2014 Chevrolet Volt may be the best option for you--and Chevy has offered good monthly rates in the past. The 2014 Chevrolet Volt is one of the best plug-in vehicles on the market, and it costs $5,000 less than it did last year. The Chevrolet Volt is a dual-natured green car. The five-door hatchback has both an electric powertrain and a gasoline-powered engine, which it combines into what GM dubs a range-extended electric car. The Volt can be driven on battery power alone for up to 38 miles more or less, before switching over to the power provided by its small-displacement four-cylinder engine. The concept is different to the idea of a battery-electric car, and closer to that of a hybrid. 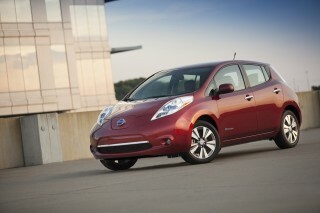 The Volt and the battery-electric Nissan Leaf pioneered the market for modern plug-in volume cars back in December 2010. But despite a whopping $5,000 cut in the sticker price this year, Volt sales have been flat over the past two years, as more and more cars with plugs enter the market. GM now says it will introduce its second-generation Volt at the 2015 Detroit Auto Show. Now in its fourth model year, the 2014 Chevrolet Volt is commonplace in some locales, and a rare bird indeed in others. In part, that's because even after that time on the market, there's huge confusion about how the first plug-in car from General Motors since the EV1 15 years ago actually functions. Blame it on bad marketing, a brand-new powertrain concept, and a fair amount of bad reporting, but most car buyers simply don't "get" the Volt--or why its owners would be so astoundingly passionate about it. The Volt's five-door hatchback styling is an acquired taste; it shares some understructure with the Cruze compact sedan, but its roof is 4 inches lower, to reduce aerodynamic drag. As a result, it's slab-sided, with small side windows and a Prius-like tailgate whose main rear window is almost horizontal. Inside, it seats four in deeply bucketed seats that are low to the floor, putting the bottom of the side windows almost at neck height for some drivers. The production car is nothing like the concept design shown, to a rapturous reception, at the 2007 Detroit Auto Show. It was longer, leaner, more Camaro-like--and, rumor had it, more aerodynamic running in reverse than forward. The resulting car is smaller, chunkier, and far, far more wind-resistant--all in the service of saving precious electrons by minimizing energy use, especially at speed. The blanked-off front "grille" directs air turbulence around the car, and when the engine switches on, its exhaust exits under the car--underscoring the car's primary electric drive, there's no exhaust-pipe outlet at the rear. The interior is a more futuristic version of the classic Chevy twin-cockpit design, with glossy white plastic offered as one of the dash surface treatments, just like an iPod of old. The graphics on the displays are good, and users can configure the operating information the car delivers both to the center display and the display that replaces old-style gauges in a cluster behind the steering wheel. The Volt's powertrain setup is known either as a range-extended electric or a "series hybrid," though in the Volt's case there's an asterisk: Under some high-speed conditions, the engine can be clutched directly into the transmission to provide torque to assist the electric motor. Drivers will never know that's happening, however; because the main drive is electric, there are no gear changes, just smooth, quiet torque. And unlike pure battery-electric cars like the Nissan Leaf or even the Tesla Model S, the Volt can be driven all the way across the country if you want, just by filling up the gas tank for 10 minutes every 300 or so miles. While that electric range seems remarkably low, it's actually enough for about 80 percent of the journeys made by vehicles in the U.S. For the rest, there's that engine. Indeed, Volt owners report that they cover 65 to 80 percent of their total miles on grid electricity--and only visit gas stations once a month on average. Indeed, GM says that 62 percent of the hundreds of millions of miles covered by Volts since December 2010 were powered by grid electricity--and that the average Volt owner goes 900 miles and about a month between visits to the gas station. GM's most technologically advanced car can be plugged into the electric grid to recharge its 16-kilowatt-hour lithium-ion battery pack, which takes about 8 or 9 hours at 110 Volts and about half that using a 240-volt, Level 2 charging station. The battery provides electricity to run the motor that actually turns the front wheels. When it's depleted (after an EPA-rated electric range of 38 miles), a 1.4-liter four-cylinder gasoline engine switches on to generate more electricity to keep it going for another 250-plus miles. The most important information is battery state of charge, the remaining range on electricity and on gasoline, and various other running statistics. The "effective" combined gas mileage maxes out at 250 mpg, though, much to the dismay of Volt drivers who compete to see who can use the least gasoline to cover the most miles. On the road, you won't question whether the Volt is a real car. It accelerates briskly (and quietly), rides and drives well, copes with corners adeptly due to the low position of the heavy battery pack, and offers both standard features and accessories that you'd expect in any car. And this year, it's a slightly better value than it was at a price $5,000 higher. Volts sold in California and New York are equipped with a special emissions package that allows them to qualify for stickers in those states that permit drivers to use the High-Occupancy Vehicle (HOV) or carpool lane with just a single occupant. During epic California rush hours, that's a very valuable privilege. For 2014, the sole changes to the Chevy Volt range-extended electric hatchback are a leather-wrapped steering wheel and two new paint colors. 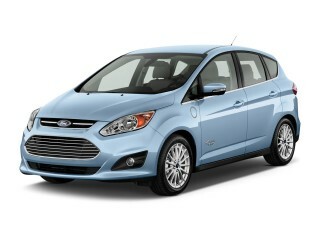 The biggest change is the price, now $34,995 (before incentives, but including the mandatory delivery fee). The reduction simply keeps the car within range of new lower prices now offered by many other plug-in vehicles. The 2014 Chevy Volt qualifies for a $7,500 Federal tax credit and a variety of state, local, and corporate incentives as well--including state purchase rebates of $2,500 in California or $5,000 in Georgia. With incentives and the price reduction, a Volt is now squarely comparable to the Toyota Prius hybrid, its new plug-in variant, or any of the other plug-in hybrids from Ford and Honda as well. Volt shoppers are likely to consider the Prius and its plug-in model as well, and indeed Chevy notes that the Prius is the most commonly traded-in car for a new Volt. 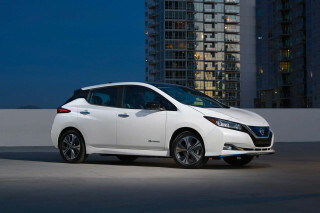 There is also the Nissan Leaf, which got a price cut last year as manufacturing shifted to the U.S, aand Ford's pair of C-Max and Fusion Energi plug-in hybrids. But meet a group of Volt owners and they may just succeed in selling you one. The Chevy Volt has the highest customer satisfaction rate of any car GM has ever built, and a majority of Volt buyers are new to the Chevrolet brand--a huge win for GM. In the end, the Volt is perhaps the nicest and most sophisticated of the half-dozen plug-in cars that also have engines to give them unlimited range. And it's a much better value this year than it was last year. Score one for General Motors. The 2014 Chevy Volt is distinctive, but somewhat slab-sided and blocky; its inside is nicer than you'd expect. Four years after its launch, the 2014 Chevy Volt is less an oddity on the road than it was at first--especially in regions where plug-in electric cars are most populous (hint: think California). The production car doesn't look much like the original 2007 concept car, but like the Toyota Prius, it's now something of an iconic shape in its own right. The compact Volt, a five-door hatchback with a low roof, has a high cowl and short windows. The narrow glass openings are visually made to appear taller using glossy black trim panels on the doors just below the windows, giving the impression of larger windows--especially on lighter-colored cars. Still, the Volt is chunky and somewhat slab-sided in a way that neither the battery-electric Nissan Leaf nor the well-known Toyota Prius hybrid are. It's neither good nor bad, just not quite as composed as those cars. Like the Prius, the Volt has a vertical second glass panel in its long, high tailgate, to improve rear visibility. Its two-section Chevy grille up front is actually a pair of textured silver blanking plates, but they clearly identify the electric car as a Chevrolet. The Spark EV battery-electric car uses exactly the same approach, making the two cars a family. Last year, Chevy began painting the liftgate and roof panel in body color, rather than the glossy black of the first two model years. That change makes the Volt a bit less distinctive, in our eyes, but the range of available paint colors has expanded over the years, and Chevy has also added new alloy wheel options as well. Inside, the Volt is rather more stylish. As launched in 2010, it was often shown with a glossy white plastic dashboard, looking like nothing so much as consumer electronics from Apple. That's just one of several different interior trims, which can be mixed and matched with graphic panels and a variety of upholstery options in a very un-Chevy-like way. The standard cloth upholstery can be replaced by leather, complete with suede inserts, in a number of different colors. The front seats stick with the classic Chevy "twin cockpit" approach, which works well with the large center display screen. A set of capacitive touch switches below that take some getting used to, but match the Volt's "electric future of transportation" vibe neatly. Even after four years, no one has quite matched the clarity and intuitive nature of the Volt's graphic displays of vehicle information (also used in almost identical form on the Spark EV). Ford's hybrids and plug-in hybrids come close, but Chevy's are just that much better. Behind the wheel of a 2014 Chevy Volt, first-timers marvel at its smooth, quiet, electric torque. If electric cars make you think of golf carts, or your idea of a clean, green car is a Prius hybrid, the 2014 Chevrolet Volt will be a pleasant surprise for you. While it's not all that fast on paper, the power delivery is smooth and seamless, and its best performance comes from 0 to 40 mph. Electric motors produce maximum torque from a stop through much of their range, so the Volt will startle many other cars from a standing stop. Its 0-to-60-mph acceleration takes less than 9 seconds--not fast, but fast enough to keep up with traffic. Its speed is electronically limited to 100 mph. The Volt's lithium-ion battery pack, a T-shaped box fitted into the wide tunnel between the seats and under the rear seat, holds 16.5 kilowatt-hours of energy (of which only 10.8 kWh is used to power the car--giving the Volt a huge margin for loss of capacity over time). The EPA rates the Volt's electric range at 38 miles. All Volts are powered by a 111-kilowatt (149-hp) electric motor that drives the front wheels. Once the pack is depleted, the 1.4-liter four-cylinder range-extending engine switches on, to power a 54-kW generator that produces electricity. That electricity continues to run the electric motor that powers the car. If you're not watching the display, that engine switches on so quietly you may not notice it. You'll only hear it under maximum load, when it speeds up to its maximum revs. But it's disconnected from the road speed, so from the driver's seat, the Volt always runs as an electric vehicle--regardless of whether the electricity comes from the battery or the range extender. Chevy has tuned the Volt so in its normal state, it drives just like a regular car with an automatic transmission. While it's a heavy car for its size, the Volt has its weight mounted low in the car. That gives it good roadholding and flat cornering. The electric power steering, suspension, and braking--both friction and regenerative--all are well integrated. For the experienced electric-car drivers who want to drive on a "single pedal" with stronger regenerative braking, a "Low" mode on the selector increases regen to the point where lifting off the accelerator produces noticeable slowing--and the brake pedal is needed much less. 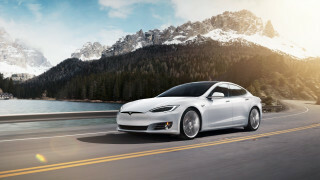 To mimic a Tesla, drivers can keep the car in Low and punch the Sport mode button, which provides peppier acceleration at the cost of a bit of range. There's also a Mountain Mode, which recharges the battery more aggressively and increases regenerative braking for best performance on hilly routes. Last year, the Volt also added the ability to conserve its battery charge--in the form of a "Hold Drive" button--for later usage. This employs the range extender as the primary power source. The 2014 Chevy Volt handles well, rides smoothly, and is quiet inside--but it's limited to four occupants. Since its launch four years ago, the Chevrolet Volt has logged the highest owner-satisfaction scores of any General Motors vehicle ever built. Talk to Volt owners, and you're likely to find them to be cheerful, relentless evangelists for their own cars, the 2014 Chevy Volt, and in general, the joys of range-extended electric driving. Inside the car, you'll find that all four seats are mounted low, but the fronts especially are well-shaped and comfortable over long distances--though the manual adjustment may clash with your idea of a $35,000 car. The center tunnel, which contains part of the battery pack, is both wide and high, and it eliminates any chance of a fifth passenger in the rear. Seating can be tight for four tall adults, but trips of 100 miles or more in a Volt show off the car's pleasantly quiet cabin, its smooth acceleration and good roadholding, and the superb graphics used in its various displays. Press the power button--with the computer "on" symbol, unlike any other car--and the Volt boots up and checks its systems with a humming tone. Then put the selector in Drive and you move out silently. As you gather speed, you'll find that without the sounds of engine and transmission, wind noise and tire roar become more apparent. The Volt has specially developed noise suppression to minimize such sounds, but without engine and mechanical noises to mask them, the low, steady roar of the low-rolling-resistance tires can stand out. Under full acceleration, the car remains entirely quiet when running on battery power. Once the range extender kicks on, even the highest power demands are buffered through the battery pack, so the engine only rarely rises to a howl when asked to provide sustained high power at the top of its rev range under the heaviest loads. Frankly, if you didn't already know you were driving an electric car, you might not notice the difference--except that it's quieter than all but the most luxurious gasoline cars under many circumstances. Quality in all of the Volts we've tested has been top-notch. None have suffered from squeaks or rattles, and complaints in early years of frozen displays and other minor software glitches have receded. Buyers can choose from a wide variety of interior colors and graphics, and leather seats are optional; cloth upholstery is standard. The console can be specified in piano black (which we find to be a tired cliche by now), glossy white (think Apple products of 2010), or a quieter glossy charcoal color. The 2014 Chevy Volt scores well on IIHS and NHTSA crash tests, though it now lacks some of the latest electronic safety gadgets. The 2014 Chevrolet Volt continues to earn high scores on crash tests from both the Insurance Institute for Highway Safety (IIHS) and the National Highway Traffic Safety Administration (NHTSA). The NHTSA gives the 2014 Volt five stars, its highest rating, for overall, side crash, and rollover safety, and four stars for frontal crash. The IIHS awarded the Volt its highest rating of Good on its four traditional tests, and Acceptable on its newest small-overlap front crash test. That enabled the 2014 Volt to recapture its designation as an IIHS Top Safety Pick+. By now, the echoes of a 2011 media brouhaha over supposed Volt battery fires have died down. They stemmed from a fire in a Volt sitting in a wrecking yard--three weeks after it was destroyed by the NHTSA in a crash test--and led to a Congressional hearing into the car's safety. An NHTSA study concluded that the circumstances surrounding the fire were extremely rare, and that the Volt was as safe as any other vehicle (GM offered a modification to early Volts that few owners took advantage of). And, indeed, during the Volt design process, GM safety engineers subjected Volts to a variety of crash testing, focusing especially on the T-shaped lithium-ion battery pack under the tunnel and rear seats. That pack in protected in crash situations by beams that transfer crash loads through the pack and into the rest of the car's structure. The Volt comes with eight airbags: front and side airbags plus knee bolsters and side air curtains that stretch the length of the passenger compartment. Last year, Chevy added both lane-departure warning and forward collision warning systems to the standard electronic stability and traction control systems. Adaptive cruise control and blind-spot monitoring, however, are not available. All Volts are fitted with GM's OnStar telecommunications system, which comes with three years of free service for Volt owners. It's also worth noting that Volts have a driver-actuated noise generator that pulses the horn rapidly to warn inattentive pedestrians or others of the silent electric car's approach. It's best described as a chirping sound; drivers trigger it by pulling back on the turn-signal lever. The $35K price of a 2014 Chevy Volt reflects its range-extended electric powertrain, but options quickly boost the price. 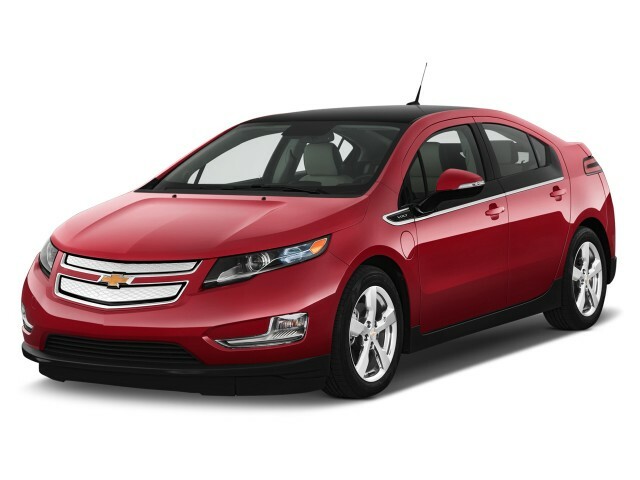 Even with a price cut to $34,995, the 2014 Chevy Volt is about twice the price of a Chevrolet Cruze compact sedan. But the two cars appeal to entirely different buyers, and plug-in electric cars are aimed today at early adopters and those who buy cars for other reasons than low entry price. The Volt also qualifies for a $7,500 Federal income-tax credit and a variety of state, local, and corporate incentives. In California, where more Volts are sold than in any other state, those include a $2,500 purchase rebate and single-occupant access to the coveted carpool lane at rush hour. The Volt comes standard with a few features that are optional on conventional cars its size, but the equipment differences are less pronounced now than they were back in 2011 when the car was launched. Today, many compacts include keyless entry with proximity sensing, automatic climate control, remote starting, and a steering wheel that both tilts and telescopes. They don't have the Volt's range-extended electric powertrain, however, which runs for 38 miles (or so) on the battery and then switches over to the gasoline range extender. And they also don't have a smartphone app that lets an owner monitor the car's charging and various performance metrics. Unfortunately, the base Volt comes with neither a particularly good audio system--it's simply AM/FM/CD--nor navigation. Those cost extra. The energy-efficient Bose audio system--which includes satellite radio, MP3 playback, Bluetooth connectivity, and the ability to show DVDs--plus 30 GB of music storage space on a 60-GB hard drive--costs $495. 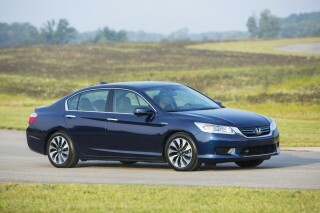 Worse, the navigation/DVD system adds a whopping $1,995. Other options include quite nice polished alloy wheels and a few special paint colors. The Volt lacks some of the latest generation of electronic safety systems, however, that have filtered quickly into cars of $35,000 and above. Chevy added forward collision warning and lane-departure warning last year, but radar-based adaptive cruise control and blind-spot monitoring are not offered on the Volt at any price. Nor is the clever "smartphone/dumb screen" display that uses apps on an occupant's mobile phone for navigation, audio streaming, and the like. That system is now confined to the least expensive Chevys--for 2014, the Spark and the Sonic--though we expect it to be added to other models in future. A likely refresh of the Volt in 2015, perhaps as a 2016 model, is likely to add some or all of these features. The Volt's battery is warranted for eight years or 100,000 miles; shoppers who remain concerned about battery life have the option of leasing the Volt rather than buying, which shifts the burden of battery degradation to the next owner. The 2014 Volt carries bumper-to-bumper coverage for three years/36,000 miles, along with a limited engine warranty of five years/100,000 miles. As a bonus, five years or 100,000 miles of roadside assistance comes free as well. Two-thirds of all Volt mileage is covered using grid electricity, and its 37 mpg on gasoline is still high. The 2014 Chevrolet Volt remains one of the most fuel-efficient cars sold in the U.S. today. Data aggregated from Volt drivers shows that roughly two-thirds of all mileage covered in done using battery energy from charging with grid electricity. When its range extender switches on, the Volt is rated at 37 mpg combined--high for a compact car. With its 38-mile electric range (as rated by the EPA), Volts that travel less than that distance daily may go for weeks without switching on their gasoline range extenders. And as GM will tell you, repeatedly, just about four out of five U.S. vehicles cover less than 40 miles a day. In fact, Volts have a function built in to ask permission to switch on their gasoline engines every few months, to circulate liquids and keep the system in good running order. The Chevy Volt is rated at 98 MPGe, a metric that measures how far a car can travel electrically on the amount of energy that's contained in 1 gallon of gasoline. That puts it in the middle of the plug-in pack for efficiency these days. Several vehicles now exceed that number, including Chevy's own Spark EV battery-electric minicar at 199 MPGe, but many of them are far smaller and offer less performance than the Volt. We continue to rate any vehicle that plugs in and can operate on grid power alone for some distance as a 10 on our Green scale. Battery electric cars would rank higher than any car with a gasoline engine, but the Volt can still be driven with no tailpipe emissions at all for lengthy distances. It all depends on how much the driver exceeds 35 to 40 miles a day, assuming overnight recharges. The highest-mileage drivers may burn less gasoline in a 50-mpg Prius than in a Volt running on relatively little grid power and then at 37 mpg thereafter. Recharging a Volt battery pack takes 7 to 10 hours using the standard 110-Volt charging cable provided with the car. Level 2 charging stations, which operate at 240 Volts, cut that time in half--but only about half of all Volt owners have one installed at their homes. It's simply not necessary for a Volt used in daily commuting--unlike a battery electric car, for which overnight recharging at 110 Volt may not be enough to replenish the pack fully. Electricity is virtually always cheaper per mile than gasoline, though its price is far more variable (from 3 to 25 cents per kilowatt-hour) across the country. And as for the "running on coal" assertion, many studies have calculated the environmental impact of driving on electricity produced from dirty coal. A Volt may do marginally worse than a 50-mpg Prius hybrid in a handful of the very dirtiest states. But against an average 25-mpg car, driving a Volt recharged on grid electricity--or any other plug-in car--is always cleaner. Probably the best and last car I will ever own. It would be hard to begin to comment on the qualities of the Volt. Granted it is fun as hell to drive in the sport mode it can be as quick as... hard to compare because there's no transmission shifting its... It would be hard to begin to comment on the qualities of the Volt. Granted it is fun as hell to drive in the sport mode it can be as quick as... hard to compare because there's no transmission shifting its direct torque right into the wheels. You get there quickly! I added some Blizzard snow tires and the grip year-round is wonderful. The engineering utilized, as it was meant to be by engineers, the different modes normal, sport, mountain and hold, a driver is given multiple ways to extend the battery far beyond what a daily charge would allow and probably further than any other electric vehicle up to 2017. I used to drive a caddy and this car drives every bit as nice as it does, even better on the highway. I consistently get better milage then chevy says it will. My charge in the summer is always in the 41 to 45... I used to drive a caddy and this car drives every bit as nice as it does, even better on the highway. I consistently get better milage then chevy says it will. My charge in the summer is always in the 41 to 45 mile range and I usually get better milage then that declared by the car. It is not unusual for me to drive 50 - 60 miles on an electric charge rather then the 41-45 miles the car says it has in the electric charge. I also get better gas milage then chevy states. I consistently get at least 42 mpg and somedays I get as much as 48 mpg. I have now driven the car for about 23,000 miles in 1 year without any mechanical problems. Really the only problem I have is with the comfort control and I think there needs to be a brake light for low gear braking. It uses a lot of driving electricity to run the heater and air conditioner. I usually put my electrical on hold, heat or cool the car to my temp, then cut back to ECON and with seat warmers, I am good in the hot summer or warm in the cold South Dakota winter and still get great milage! My lifetime milage since new is 64.7 mpg and often see 70-115 mpg on a charge driving 70 miles a day. I get my best millage at 42 mph but still keep great millage at 65 mph. Interstate speed in South Dakota is 80 mph and the car rolls right along at this speed. It will roll out to 100 mph at a touch of the gas. It brakes to 0 again in no time at all with stopping much faster then any of my other cars. It is my second Volt . . . and I plan on a third Volt in 2017! I can't wait for the Gen-2 Volt to come out. My wife and I are so satisfied with the 2014 we will be getting a second one and when the lease runs out on our first 2014 we are sure to be looking at the 2017... I can't wait for the Gen-2 Volt to come out. My wife and I are so satisfied with the 2014 we will be getting a second one and when the lease runs out on our first 2014 we are sure to be looking at the 2017. The car has all the comfort and technology features one could ask for not to mention we rarely EVER go to a gas station. Our electric bill has risen about $25/month but counters the $240 we spent on gas plus we're not polluting the environment. I commute 18 miles round trip and never use gas. I don't have to worry about range anxiety. Until we have a better charging infrastructure the Volt is the perfect electric/gas car. I'm a 73 year old retired IT professional and I have owned a lot of cars in my lifetime. This is by far the best car I have owned. 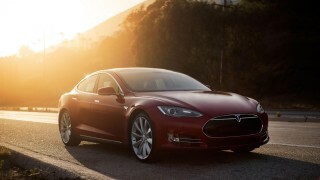 I feel that electric cars are the future and Chevrolet has done themselves... I'm a 73 year old retired IT professional and I have owned a lot of cars in my lifetime. This is by far the best car I have owned. For local travel a VOLT is just fine.